Please read Comment 23 and understand the risks before you attempt this DIY Fix. Also, if this is your first time, it helps to make a mental note of the order in which the items are taken apart. I hate it when manufacturers roll out products that not only fall short of their promise but are evidently insufficiently tested. When Canon released the Speedlite 580EX II, they made it more dust and water resistant, 20% shorter recycling time and improved communication reliability through direct contacts. I’ve owned previous models of Canon flashes namely 550EX and the original 580EX none of them had given me any communication problems over the years of hard use (there may be exceptions). As far as I’m concerned, communication has always been very reliable—it was not broken and therefore needed absolutely NO fixing. So, if you’ve landed on this page because your 580EX II is misbehaving: gross overexposure, ETTL switches to TTL and occasionally not firing, welcome to my club—membership is free 🙂 It may be nothing more than just loose contacts that can be fixed quite easily. The 580EX II has a heavy duty mounting foot and features a quick release locking mechanism. Unfortunately this new design comes with a caveat as more and more user have discovered. There are three quartet of screws to remove in this DIY fix. Start by removing the first set to second quartet of screws and a wiring connector to remove. This set of screws simply secure the cover that protects the circuit board from exposed. Remove these screws to uncover the last quartet of screws that tighten the metal foot. I recommend disconnecting the cable assembly to make the job of servicing the foot much more convenient. The connector only goes in one way so it’s impossible to get it wrong. Once these screws come off, the metal foot assembly wiggles and you’ll see the quick-release mechanism and the locking mechanism. Pay attention to the quick-release lock button inside which sits a tiny spring that can easily fall out although it’s not difficult to re-assemble. Looking at the spring ensemble from another perspective, shown here is the right way the piece fits into the moulding. Use the direction of the spring as a guide and you’ll be OK.
Pay attention to this particular spring and make a note of you’re going to put them back in the event it comes off. To avoid this, I strongly suggest you hold this part down and lift the top part away when you disconnect the wires so both springs don’t go bunny hopping. Check that these two spring loaded screws are tight. If they require tightening, make sure you don’t over torque them. Once this cover comes off, you’ll see a 3rd quartet of screws to check and tighten where necessary (these tighten the metal foot). To sum it up, I’m grateful problems like this can easily be fixed at home (the only tools required are tiny Philips PH000 (+) screw driver and patience). About the only other annoyance with this flash is the completely unintuitive Master to Slave switch or lack-thereof! I use my Speedlites with studio umbrellas too so I have to put up with the silliness of this absent-minded ‘feature’ when working in slave mode. If this article has helped you, please consider making a small donation. All contributions are gratefully accepted. Thank you very much! Previous Post HSBC SPRING DINNER. GETTING IN THE “MOOD”. Next Post CELEBRATE E DAY! Hey! My dad wants this flash light! It’s pretty expensive eh? DIY fix its, huh ? I see your dad has good taste and only wants the best Canon has to offer. The price of the top-of-the-line Canon Speedlite flashes can be a little daunting for a hobbyist. For a working professional, it’s an investment but I find the price reasonable compared to other types of flashes available. I can fix most things that are mechanical and not delicate. With more gadgets now being electronic, the opportunity to fix them has become much less when things with less dependency on electronics used to last a long time. It seems to me that such dependency has given manufacturers the ability to shrink products but it has also opened doors to design flaws such as the move to gives users improvements that are missing the most fundamental aspect—commonsense! p.s. If you happen to use a BG-E2 Grip with your 40D, take a look at EOS 20D GRIPPING ISSUES I believe the design and materials used in newer grips aren’t any different than mine in that the gear may still be plastic. In the event this gear breaks or that you simply have irregular voltage problems from poor contact, you know where to look! Sure, why not! Drop your lenses off my place and I’ll drop them off to Interhouse and bill you the transport charges 🙂 Curious, what’s the problem with the 50mm 1.4? It’s the autofocus, it’s always the autofocus. 😛 As much as I love manual focusing, you can’t live without auto focus. Wondering how much it’ll cost to fix, I should get an answer in 30 days. Saw your answer over at digital-photography-school aimed directly a me. I will definately try this one out to see if it fixes anything. Thanks for replying in the other forum. I know! He just bought Canon Eos 40D for the family with the lens Kit which cost 2,000++ but when include with the flash 3,000++. Lucky you..
this happened to a mates 580ex2 which boggled us. he was using a 400D and me a 30D, if i use his flash everything was ok.
if the flash head is in the bounce position then there is no overexposure. 3 days ago this also happened to me, problem is my flash is a 580 EX version 1. You think it is the same problem? If the flash is in bounce position, the light gets diffused and the chance of over exposure doesn’t occur, at least not as obvious as direct flash. If this is happening on your mate’s camera but not on yours, there’s a chance his camera hotshoe may be loose. Look at both hotshoes and confirm if this is so. Now, with the original 580EX happening to you, this sounds like your camera hotshoe contacts may be loose. Is the over exposure consistent and repeatable? If it’s happening randomly, it’ll make troubleshooting that much more difficult. I have personally experience something similar with my 550EX where the flash was overexposing intermittently and then it wasn’t exposing at all. This went on a bit and it was super frustrating. After a trip to Canon, it was found the flash tube had reached its useful life and was erratic. Your situation may not be that at all. Check to make sure the 580EX-II’s locking mechanism isn’t loose (it should be reasonably tight when locked) and that the possibility of camera hotshoe being loose is eliminated. I used the same flash on the weekend at a wedding. In the reception when I went to use it. The recycling time was insane (like 30 seconds). I changed to brand new batteries and it did the same thing all night. I was in a total panic as I am just starting out. Any ideas? yep it consistently overexposes at iso 1600 when before the flash would output just enough light to properly expose the picture. i looked at my hotshoe and it feels solid enough, i dont have the flash now so i cant slide it in to check if the hotshoe moves if i apply forward pressure on the flash. I can’t think of anything else that would cause this behaviour except MAYBE try to clean the hotshoe contacts. I would use an ink eraser to gently buffed the contact points. If it’s happening only in ISO 1600 it may be electrical but I hope it isn’t. Thanks, I’m one of those unlucky souls suffering from the same problem. I’ve implemented the fix, hopes the problem goes away for good. thanks jan, i sent the flash in for a checkup i should get feedback in a week or so. Wow – I wish I had read this a few weeks ago because I have been having the same problem with my pics and the 580 EX II, Stood there like a fool with people posing while i fired off 6 dark pictures until i figured out how to hold the flash body just right for a connection. Also problems with compatibility with the Quantum 2+2. Got the Quantum problem resolved today by Quantum who told me to disable the sleep mode. As for the loose plate on the exII, the camera shop told me they are having a lot of those problems with the new metal connections with both canon and nikon. Their fix was to apply some glue. hope it holds up as well as your intricate solution. As for the master slave flash someone mentioned above, well I just bought an rf transmitter so looking forward to the future headaches of the exII setup! Sorry to hear that. I’ve had flash problems happening at the worse possible moments at a wedding and they were issues with the flash tubes on the 550EX. The 580EX on the other hand has performed very well without the problems associated with the 580EX-II. Problems happen even to the best of us so experience teaches us to anticipate rather than to react. I experienced problems with the the 580EX-II not exposing at a corporate dinner function so the damage wasn’t as critical. Yeah. although Quantum had an advisory on the main page of their website for a while it wasn’t something that was communicated to their large user base effectively. I found out from a thread in DPREVIEW. Problems with Nikon too? The company that allergedly understands and produces better flashes than Canon? Perhaps it’s the same patented design from someone who has no real-world idea how the parts mesh together. I hope they bring the old school design back. That seems to be the only thing that makes sense! Coming from a motorsports/tuning background, I’ve learnt not to introduce fluids anywhere near electronics no matter what it promises. Even if the glue is designed for high temperature, there’s still a risk of glue becoming gooey when shooting under the sun and possibly shorting electronics. It’s so unnecessary! When you have a first hand peep of the ‘future’ be sure to keep us informed! Southern Photo, the flagship Canon Authorized Service Center in Miami Florida has repaired several Canon 580ex flash units with loose screws and poor ground on the flash foot of the 580ex. This is a simple repair for professional technicians, but the flash packs 330 volts and should NOT be taken apart by customers. Serious injury can occur and damage to the circuit can occur. Please allow your local professional service center handle this simple, affordable repair. If you do not have a local Canon service center, look to the services of Southern Photo, they can fix it in 15 min. for walk-in customers and same day service for shipping customers. Also visit http://blog.sp-ts.com of the official web site at http://www.sp-ts.com or call toll free at (866)RUSH-FIX. Remember, 330 volts can stop your heart!!! Simple and affordable …. not in the UK, just been quoted 120 pounds or 150 at another repair center. I was told, the whole casing has to be replaced, you can’t just replace the hotshoe! What a rip off. Pretty disgusted with Canon for not admitting the design mistake, this isn’t a cheap unit. Just done this fix (without electrocuting myself) and the problem is fixed in time for a wedding I’m shooting tomorrow! Huge thanks you to Jan Shim! Found your post re the 580EXII on the FM Forums. My experience with the 580EXII is random shutdowns, as you mentioned. Very unpredictable at best. I use a Lumedyne Battery with the 580EXII, and when the flash will not fire, I need to reboot both flash and battery and hope for the best. Never had a problem with my old 580EX, just lousy exposures. I will read through your suggesitons and see what i can implement. Canon tech support says it a bad contact issue..the flash is brand new. Folks, Isaac Hadid’s warning in Comment 21 is very real and you do not want to mess with the camera’s electronics. I’ve Googled this matter and found over a handful of instances where the understated CURRENT Voltage from a [professional grade] flash has killed someone. I met a guy once who worked on professional tripod flash systems that used 150lb flash caps! that stored 1000’s of volts! One day he accidently shorted the capacitor bank when he was changing the flash tube with a screwdriver. The screwdriver instantly vapourized into a million little green fireballs followed by a loud detonation!! The Pressure from the explosion resulted in him going 70% deaf. He also lost sight in one eye from UV burns!! By the way the explosion also knocked out windows! So next question, what do think would have happened if he had touched both the hot and ground with his fingers??? and many many more frightening and lethal stories that I do not need to post. You get the idea! In my online research, I also came across sites with instructions on converting the flash into a stun gun or a device popularly known as Taser. The flash has enough power to incapacitate an adult and the current may even be enough to kill. It’s not because I grew up with my dad being a professional electrician that made it OK to perform this DIY but also have enough common sense and experience to NEVER leave the batteries inside the flash when attempting to exposing its electronics. In IT we learnt about damages to sensitive electronic components from static discharge so the need for ESD mats to prevent costly damage. Getting killed by a flash is not the way to go! If you’ve read this far, I take it you’re serious enough to want to know more and I have just the paragraph from an internet source that explains the situation far more effectively than I could and the explanation is in line with Isaac Hadid’s warning! For a current to be lethal, it has to hit the heart just right under the right conditions. Everyone’s conductivity varies. So does their susceptibility and their physical condition. The path the voltage will take through the body is completely random, partly because the nerves are not great conductors of electricity either and they don’t run that direction. There is no telling who will die from, in theory, receiving a jolt from a nine-volt battery or who will be relatively undamaged after bridging a 10,000 volt line with either hand. The current that can shut down a heart or start fibrillation is measurable in microamps at the site where it actually causes the damage. The fraction of the current applied that makes it in there is completely unpredictable. It would take very careful estimates from actual incidents to get a handle on it. Taser deaths are coming up in the news because a lot of police officers think of them as toys and play nasty little games with them. They think that these devices are safe and they’re not. It’s not that safe to stress the body that way and tasers are already known to be lethal if abused enough. The photoflash capacitor from any camera is around 300 microfarads, give or take, at about 300-400 volts. Someone can estimate for me if they want how many joules of energy that is. At 300-400 volts, the capacitor will dump all of its electricity through any skin it comes in contact with, if someone touches both terminals. Almost always the victim will survive with very minor injuries, but you don’t know whose physiology is in the wrong place at the wrong time. It’s not worth the risk just for a little bit of malicious mischief. I am not familiar with the Lumedyne Battery and have only had experience with the Quantum Turbo. I wonder if the Quantum advisory would work for you to disable the power saver from kicking in when you least expect it. Sadly with the direction of modern product design these days, each new product introduces new problems. Sigh! Hi Shim, I’m a pro photographer working weddings mainly and I use my Canon 580EX flash with a Gary Fong Lightsphere a lot. Recently the flash began to fail, maybe the recycle time was the problem, so I tried boosting power with a Quantum Turbo 2×2 hoping that would fix it, mounted on my Canon 5D. All the problems discussed on this excellent forum came to pass. I use a 20D also and noticed both had loose hotshoes, probably from the extra stress of the lightsphere and myself wrenching the flash at right angles to bounce it continually. I tested the new 580 on an old 10D, which has a secure hotshoe, and it works. The little flash icon in the viewfinder is missing when using the mark 2, so clearly no contact is being made on the 5D and 20D. Thank you very much for helping to solve this problem. I’m glad you found my post useful and I’m sorry you and anyone else with this problem had to go through this very unnecessary experience! It’s even more frustrating when the problem is wide spread and Canon isn’t forthcoming about the issue and people need to resort to DIY fixes or return the unit to Canon for a fix that may not even be permament. HI Jan, thanks for the post. I encounter the same symptom tonight during an event! It change to TTL after a few shot and i got a hard time taking the flash off and on the shoe (trying my luck) to get it back on ETTL, and after a few shots, it goes back to TTL again. Then i realise a better way, that is to knock on the flash with light pressure, and i can get it back on ETTL, LOL and i have been doing this the whole night! On your wedding day, right after the tea ceremony at Jen’s the 550EX (I hadn’t bought the 580EX-II then) the flash fired but there was no exposure and a trip back to Canon, found that the flash tube needed replacing. The 580EX-II on the other hand failed at an event in Liang Lumut Rec Club. Thankfully, I swapped the 580 and 580-II between my 20D and 5D and I was able to finish the night without any fuss. The next day I had a closer look at the problem and found that I was able to reproduce it that’s when I decided to open it up. These days, the 580-II stays in the bag as spare or at home if it’s too troublesome (and heavy) to bring along. The 580-II and 550EX often get used on studio umbrellas where they are remotely triggered. Ehh.. removed the charged batteries and replaced with new alkaline batteries. It works !??!? Loaded the charged batteries in – and still it works..!!?!? “Applied this fix here but still no joy…” At least you know your flash has ‘the fix’ so the next time you encounter a similar episode, it’s something else but lose screws! I have also encountered problems that stemmed from overheated and exhausted batteries. Once I removed the batts and they were so hot they could easily have burnt my hand – dropping them straight into the camera bag then would certainly have caused problems. I tried this and didn’t make a difference. It’s the quick release that’s loose, not the contacts. If anything, it’s worse now; and best of all, since I rolled up some electrical tape and forced it between flash and camera to push back the flash to force the contacts to work, now the hot shoe is loose as well. What crap that quick release is! 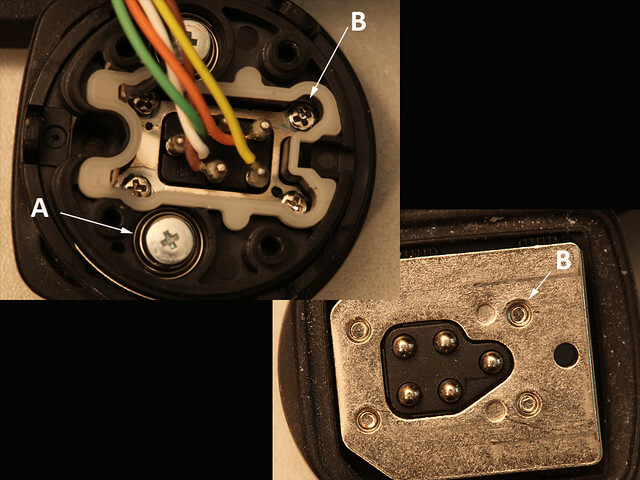 The fix described here [is] to fix the loose quick release which in turn ensures better contact. The fourth picture down has the four white arrows pointed to the screws that tighten the quick release. If this fix (assumed done correctly and the screws are not over torqued) doesn’t appear to tighten the QR and the camera’s hotshoe isn’t loose then I don’t know what else might have gone wrong. I don’t see why force and/or electrical tape would be an appropriate action when it comes to flash and hotshoe. I hope you didn’t end up twisting the hotshoe slot which may have increased the clearance to the point the flash can no longer tighten. Nina, glad you’ve got the base tightened. The instructions here are for the quick release not the metal plate but as you’ve discovered, the teeny (silver) screws hold the metal plate to the flash and the same sized Philips screwdriver used to remove the other screws also tightens them. Jan – the hot shoe screws loosened a bit due to the pull on them, I tightened them, took 2 minutes, fixed. I don’t think tape is the way to go, either, but when in the middle of a wedding you gotta do what you gotta do. It worked. Thanks for this excellent advice. My speedlite now sits snug in my hot shoe. In a routine peeping of my blog’s referrer stats, I couldn’t but notice a link from Japan so I clicked on it and found myself staring at Kakaku.com forum members discussing the Speedlight 580EX II. Check out the Google translated page—it’s quite entertaining. thanxs for the info man… really appreciate it 🙂 my 580EX II had similar problems, quickly rectified by following the steps! thanxs again! Hi Jan! Great directions. I was having problems with my 580EX II when paired with my Canon 5D, but no problem when I pair my old 580EX with my 5D. I tried the fix that you described, but it didn’t help. The screws were already tight on the flash. The hotshoe on my 5D was loose, so I tightened that. It worked. Now I don’t have to send my flash or my camera in for repair. up I’m afraid that’s not a DIY item. Oh, man. Thank you a million times over. I have two of the 580 ex II flashes that weren’t working. I just fixed one!!! I am not a technically savvy person and after months of struggling with my flash, it’s all fixed! Now, I don’t have to rent one for my wedding tomorrow. One thing on the instructions, I did not have to remove the second set of screws. I just put my little screw driver down inside where the hotshoe plate is where I saw the third set of screws and tightened those. Voila! My problem was solved. Thank you, thank you, thank you! Now, that’s a testimony! Thanks Melissa. I’m glad the instructions are simple enough to understand even by someone who isn’t “a technically savvy person.” You’ve made all the late nights staying up to shoot and write a worthwhile cause. The overexposed for no reason also happened to me when I used the 580-II. And I also found out that you need to really properly locked the flash on the camera to prevent any kind of wobbling after tightening the lock! However I feared the shoes on the flash would eventually failed one day to be tightened to prevent any kind of loose connection. If so, may it happened before the warranty expired!!! I prefer the old turn and lock mechanism of the old 580! Modern high tech equipment causes more stress! From what I’ve observed in the past five years or so, it seems to say that it’s perfectly OK to treat consumers like guinea pigs ie. let’s our customers pay for our R&D cost. The 580EX-II has to be one of Canon’s more unreliable product in years all because someone thought it made sense to change something that has worked so well for decades—see what happens when you try to fix something that ain’t broken—you end up breaking it !! Although mine is fixed, I’ve lost a lot of confidence in that flash and when I need to use a flash (which is rather rare nowadays with my 5D II) I’d pick up the old 580EX over the II anytime. Jan, Thanks very much for the info, guidances and all the discussions here. Will keep this page in mind and come back when needed. Jan, Many thanks for the great effort on this. I’ve got a 580EX II and use it on a classic Canon 1D. at first 10% of shoots came out OK, and now all shoots are completly underexposed. Has anyone has the same issue with the 1D? I tried the above fix but the screws seemed quite tight and I didn’t want to force them any more. Cheers. I tried to tighten the screws but can’t find a tool to fit. And, the spring fell out – trying to reassemble. Another piece fell out – silver bar about an inch with black bushing in the middle. Where does that go? Any shop manual online? OK, I see where the metal post goes. It goes inside and protrudes as a set pin on the hot shoe. My problem is that I have two springs (short & shorter). One must be the lock button spring. Which one and where does the other spring go? Take a look at the last picture and also the second last right and you’ll see where the two springs are located. Hopefully those give you a good idea where they each go. All the best and please keep us posted! Hi James, do you have a picture showing the extend of the damage? Are you saying the entire lower half of the 580EX-II foot is ripped off the flash and left on the camera? I have an issue that I thought you might be able to help me with! I have had the 580ex ii for nearly a year now, and up until now it has worked like it is supposed to, However, recently, my external flash has been acting up. It does not communicate with my camera, and it does not fire a flash. It will only fire if I cover the wireless sensor on the front of the flash with my finger. As soon as the sensor is covered, the flash registers itself with the camera and the little flash symbol in the view finder appears. As soon as it is uncovered, it goes away!, and the flash will not fire… Has this ever happened to you? Or have you heard of it happening before? I read your post on fixing the loose contacts inside the flash unit, and I thought maybe my problem could be fixed in the same way? Thanks a lot! — Daniel. Thanks for your mail. I’ve not come across anyone reporting this problem before. I guess there’s always a first even when the 580EX II has proven (judging from the many links from photography forums to my post) to be a very problematic model. I flipped the manual and looked at the possible Custom Function No. 08 AF-assist beam firing. Can you check that by Enabling and Disabling to see if that makes any difference? Check also C.Fn-05 Flash Metering Mode to see what mode it’s in. I checked through the custom functions on my flash and camera to see if maybe something had been changed around. When I looked I couldn’t find anything wrong! I posted my problem on photography-on-the-net.com . Two people replied and pointed out something that I foolishly overlooked. When I covered the sensor I was applying pressure to the flash, which pushed it backwards and completed a connection that, apparently, wasn’t happening!. It was just a loose hot shoe on my camera. I took the plate off and tightened the four screws, and it all works properly! Thanks again fro your help! Amazing, this work perfectly, thank you so much for the advise. You’ve saved me time and money, amazed I fixed it myself. I will definitely be sending this link on to others. I was looking at this post’s stats and noticed a link from a Flickr user who has found this post useful and saved his otherwise “dead” 580EX-II from a bike accident. I thought it would be nice to share his story and DIY success just in case anyone needs a pinout illustration of their 580EX-II flash. Thanks Purplemattfish for this! Thanks for this post. My 580EX-II won’t fire when I shoot portrait, second time its happened. I use a Ray Flash modifier quite frequently and I think it was too much for it. Your article could be a life saver as I can’t afford £50 to fix it. I can imagine the additional burden from the weight of the Ray Flash when the 580EX-II’s locking mechanism cannot even hold it’s own. I have lost confidence in the 580EX-II reliability that I tend to use it on a light stand where electrical contacts aren’t used. For on-camera flash I trust the more secure first generation 580EX. Interesting thanks for the info. Was doing an event shoot last night – fundraiser auction all indoors, all low light, 4 hours of flash!! – and the 580 II just freaked out – went to TTL instead of ETTL. 580 is 2 yrs old, moderate use. I took out the batteries and replaced them (with the same batteries) and if reverted, don’t know if it was jiggling the hot shoe ar forcing a “cold boot” that did it. Up till now the 580 has been pretty predictable and stable through weddings and other flash heavy events. I was shooting through a small inflatable softbox with a warming gel, and that may have compunded the situation, but really – the E in ETTL should compensate for whatever I put in fromt of the flash. Dang is this a goofball flash or a pro workhorse, Canon? Get real!! Hey Bruce, very likely it’s the jiggling that did it. I use the Gary Fong Lightsphere PJ on my first generation 580EX quite a bit and don’t have one that fits the 580EX-II so I no longer use the II flash on camera other than through the umbrella for food photography where contact integrity doesn’t matter. Thanks for the excellent article– I’m an amateur who was extremely frustrated by the unpredictability of the 580EXII Speedlite. It especially showed up using ‘2nd curtain sync’ techniques, and shooting in portrait was out of the question. One addition– there’s a 3rd quartet of screws in the bottom of the flash mount, that were the problem with my unit; they had become essentially ‘finger loose’ with light use. [I mostly use the flash when shooting family events]. Thanks Ronald for your comment. It reminded me that I had omitted what may be the more important pictures which illustrate the 3rd set of screws that tighten the metal foot—could possibly be the source of many loose contact reports although not necessarily so. Assessing these set of screws is also the more complicated stage of the DIY fix. It’s very easy for the plastic rim where the lock is attached to to come off. When this comes off, you can just as easily put it back the wrong way. Very nice– you updated your article showing the additonal screws. Thanks again, RW. Great instructions – helped me fix my loose 580EXII. Don’t know if it’s been mentioned, but as soon as I took off the first 4 screws, I was able to access the bottom four that tighten up the metal hotshoe base plate (one of these screws had worked its way completely out…). I only needed to remove 4 screws to fix my problem. Thanks for your help & photos. Great help. I was getting just TTL reading and way overexposure. Tightened all the connections as suggested and problem solved. Just watch out for those small springs. has Canon rectified this problem on newer batches of the 580EXII? The thing I’ve noticed with this problem is that not everyone encounters it. It’s easier to fix the problem if/when it happens to you rather than finding an answer to your question especially when Canon has not official admitted issues with the 580EXII. Also, it depends on what body you have and how inherently tight (or loose) the hot shoe is which explains why only a small % of users have this problem compared to the number of users who posses this flash. Just my 2 cents. Hi! I will be sure to bookmark this in case my brand new 580EX II goes on the fritz one day, but for now my concern is with the used 550EX that arrived by mail yesterday. It only fires “sometimes”. Since the only (temporary) fix seems to be removing the flash and putting it back on the camera, and since the 580EX II fires perfectly on both my Rebel XS and my girlfriend’s XSi, the problem has got to be the flash. I suspect it’s the hotshoe. Can I use this 580EX II guide to repair my 550EX or are they too different? Hi Jeff. As far as I know (I had two 550EX units) the 550EX has no “design” problems I can remember other than outdated electronics that draw too much current and as a result poor recycle times. I’ve never had contact issues that originated from the flash except for loose hot shoe on camera. I’ve not taken the 550EX flash apart either so cannot say if they’re very different. Having said this, here’s what I recommend you try (in order to confirm the problems). Set up the 550EX as a slave and your 580EX-II as Master on camera and making sure there’s line of sight. Take some shots and make a note of the 550EX’s behaviour. If it fires intermittently as a non-contact slave then you know something’s wrong with its electronics and not a physical contact issue. If, however, it fires consistently as slave but not so when mounted on camera then you have narrowed things down. Keep me informed of your findings. Thanks for the quick reply, Jan! I’m also going to try Canon’s “eraser trick” on the contacts today and see if that helps with consistency. One of the other things that leads me to believe it’s the hotshoe contacts on the flash is in this 550’s previous life it was a Slave controlled by a Radiopopper PX receiver. The stand seems awfully tight and it seems to jam the contacts up into the flash’s body, so I wonder if they are not sticking out as far as they normally would. One of the other things that leads me to believe it’s the hotshoe contacts on the flash is in this 550′s previous life it was a Slave controlled by a Radiopopper PX receiver. Now this leads me to think that perhaps the 550EX’s contact points may have over the years of use “worn out” as the flash chaffed in and out of the light stand’s hot shoe. I’m just guessing here based on personal experience with third party items. I have seen fabricated hot shoe made entirely out of aluminum where the workmanship is just rough so when you’re sliding the thing in and out a lot, something’s bound to give. Just wanted to update – I’ve isolated the problem on the 550EX but don’t know how to solve it. Some of the contact points are not making a good connection. If I rotate the flash’s body counterclockwise (when looking from the top of the flash) then it works perfectly. Sometimes it works perfectly for an hour, but if I move around too much then eventually it stops showing the F-stop in the flash’s window and I know I have to twist it to get it working again, which happens immediately. It’s not holding its position with all contact points in the right spot…there’s a bit of lateral and rotational “play”. Hi Jeff, good that your investigative instinct led you to discover more about what’s happening under the hood. Do a search on the web for dis-assembly instructions—failing which, you may want to see if you’re capable of taking it apart. Other than this, I’m unable to offer any useful advice. All the best. I want to buy you a drink or clean your house. This fix saved me. As we say in MA. You rock! My 580exll was misfiring, over exposing, not showing ETTL and High speed sync was not working, both of which need contact with the camera (Canon 5DmkII) to function on the flash. The hot shoe was loose. After dismantling the flash it was easy to tighten the hot shoe following your instructions. My only suggestion is this. I totally freaked out when not only did the spring loaded locking piece fall out that you mentioned but a another spring and a small inch long metal pin with a piece of black plastic in the middle fell out before I had a chance to see where it went. That pin and spring fits under the metal hot shoe and allows it to spring up and down when tightened by the locking device. I had to just think it through and search for where it could go. It would be helpful to add that image (you can see the spring in one of your shots but not the pin when it falls out) to your series for the other people that I am sure will be dealing with the same problem. I want to thank you again for posting this. I am facing a half dozen assignments in the next few days plus a wedding and without your help it would have cost me a boat load of time and money to rent and repair . Thanks again!!!! I want to buy you a drink or clean your house. This fix saved me. As we say in MA. You rock! Thanks for taking the time to post your thoughts, Paul. You made my day! I’m glad you found this helpful. If you like, you know you can always buy me coffee (link at end of post and in sidebar widget). Don’t forget to buy yourself one too for job well done. Btw, I corrected your website URL (you omitted the P in photography). Thanks for the feedback and idea—I’ll include that as soon as possible. New images have been added to this post. Please refresh the page and let me know if they’re helpful. I figured it out. The little spring lays on the side. There is a tiny nub on the tiny black piece off the locking mechanism that the spring goes over, however the nub is so small you can’t really balance ithe spring on there to get it into the slot where it belongs. If I put it in the slot first, I wasn’t able to get the tiny black piece to snap in. So I got a toothpick and put a little glue paste on the tiny nub. This held the spring enough so I could slip the tiny black piece in. Warning, there are two small springs, one for the locking mechanism and one for the locking pin. They have minds of their own and want to be free. Seriously, the darn things go flying if you’re not careful and then you waste 15 minutes on your hands and knees. Work on a big white sheet. Sad to say but I lost that spring on the quicklock. 😦 Is there anywhere I can replace it? Melvin, if you can wait (doesn’t look like you have a choice anyway) you can contact your nearest Canon or authorized Canon distributor to order the spring for you. I once lost hundred of micro ball bearings when I opened the locking mechanism of my 100-400mm L. No choice, forced to return the whole lens to Canon via my Brunei distributor to have the ring assembly replaced and refitted. All the best! Didn’t see your post prior to posting the above. Yes those new photos will be a BIG help to the next person who has this happen. Thank you VERY much Jan. I added one more image which shows the other spring that one should pay attention to when separating the components. Oh, and I bought you a beer instead of a coffee. It’s quite interesting to read this, as it’s obviously a design or manufacturing flaw. I’ve experienced similar problems with the 430EX II in combination with an EOS 20D and EOS 40D, but not with a PowerShot G5, where the flash took a noticable amount of extra force to slide it on and off the hotshoe. My fix however is a bit more simple, and doesn’t require screwing open the flash. Instead I’ve added small strips of electrical tape on the L shaped metal pieces on top of the hotshoe. This has resulted in the flash being pushed down maybe 1 or 2 tenths of a millimetre, and fixed the loose contact problem. The problem with electrical tape (I have a lot of experience with them in motorsports) is that you need to replace them every so often. Sliding the flash on and off just chaffs the tape off and from experience they don’t handle wear well (not even 3M ones). Of course, if you rarely take the flash off once mounted that will work too. Just wanted to say thanks…with the info and courage I got from the photos here and with a write-up I found for the 550EX on dpreview.com I replaced the hotshoe tonight. It was fairly straightforward except for the tightening disk, which I didn’t install while fully in the locked position (as the directions on dpreview.com specified and I somehow ignored). So even though the two hotshoes look exactly the same when off the flash, the 1/1000000th of an inch I guess that has worn off with time was enough to prevent the flash from making proper contact. Either that, or simply by taking it apart and putting it back together something that was not in position correctly was reseated. Regardless of the reason, the flash now works great! Thanks for the instructions on your website. Cause of that, I`d fixed my 580 EX II easily. Otherwise my photo-seller told me, it would cost $ 400.– repairing. I’ve had two of these now, and while I’m very happy with the performance, both of them have had the same issue; I use a Quantum pack, and the power socket has come away from the body of the flash inside in each time, just through daily use rather than any particularly over-enthusiastic assistants. The first one set me back a bit, the camera repair shop telling me the entire body case has to be replaced, so I thought I’d have a look online to do the 2nd one myself. Anyone have any idea how to do that? Warranty is of course gone on this so I don’t mind taking it apart. My friend just sent his in to Canon in NJ. They replaced the foot with a newly engineered one that addresses the TTL issue. I’ll be interested to see if this fix holds for him. If so, I believe there should be a recall. This stupid flash has plagued me for years now. I mainly use it as an off camera slave in manual these days.. What a waste of money. Jan, thank you so much for this incredibly useful post. Personally, I resolve my 580EX II connection problem just cleaning the contacts; but generally speaking, I think that sharing all this information is a great thing. I love these days of internet. And DIY is simply the best you can do for yourself. Cheers, Marco. Massive help thank you! I’m getting the TTL switch when using my pocketwizard mini, causing me major problems! Thank you for your guide with photos ! It worked ! My flash would switch from ETTL to TTL at the worst times. Your guide was easy to follow and the only problem was finding a screw I dropped, which I did with a flash light. Thanks again. Thank You! You just saved me about $135 and down time (I do have a backup 550). Those tiny little screws were indeed very loose. I didn’t have to remove the second inner plate to get to them – there was room to get my screwdriver in there, so no worries about losing the springs. Works perfect now! and how LONG will it work perfect? I am so pissed at Canon for not doing a recall on the faulty flash shoes. Canon has engineered a better 580exII shoe that reportedly does not develop this photo wrecking ETTL/TTL screwup. Of course when I spent $125 on mine, they didn’t have this improved shoe yet. For now, my 580EXII lives at the bottom of my camera bag and is only brought out for a manual off camera rim light. I don’t trust it for anything else. Could have bought a $75 Vivitar for that… SHAME ON YOU CANON! To clarify, I spent $125 on the “repair”, not the flash. In fact I sent it in once under warranty, and another time out of warranty. Hi. I used the same flash at a wedding on the weekend and the recycling time was like 30 seconds. I changed the batteries (brand new packet) and it kept doing the same thing. I was in a total panic as I am just starting out. Any ideas? Hi Natalie, care to share the type of batteries you were using and is the unit a 580EX II? Was the recycling time immediately “like 30 seconds” when you first fired it at day (when flash unit was still cold presumably with fresh batteries too). This solved my problem. Did the fix within 5 minutes first time. Tested the flash and all works well like a new 580EXII. The spring lock is a lot easier to open now. Like it’s a new one. Maybe an indicator that screws are loosening is that closing the lock get more and more difficult. Had the same problem with my older EX580 and the Canon 20D. There the solution was the application of some lock-tight glue and fastening the screws onto the hotshoe spring plate on the camera. Same problem, only it shifted to the flash. Unfortunately I didn’t find this article until a few days after I had sent in my 580EX II for service. I questioned the Canon rep I got on the phone about the apparent design flaw and she told me there was nothing on their website about it so there must not be a known problem. When I told her about all the places I had found evidence of there being a problem she did give me a discount of about $30.00 or so try to make me me feel better. I figured it was better to let them fix it at that point. They replaced the hot shoe connection with a different one. One with the conical connectors another poster mentioned. It does have a more solid fit than the original. I personally feel they know full well there is a problem, but that it is a lot better to make money than to fix a known design flaw. I think for a manufacturer to admit any kind of fault is a sensitive matter. Granted, the problem isn’t life threatening but it could open up all sorts of potential lawsuits from wedding photographers when erratic overexposure problems ruin a wedding couple’s pictures and so forth. Doing what they do to charge and fix problems as they happen seem the safe route for them. I’m sure you are right. Thanks for your thoughts! i have a problem with my 580ex 1. Sometimes the flash is flashing but the picture is black. The batteries are new and an another 580 ex2 hasn’t this problem on my 5d mk2. Anybody know the error? Sorry my english.. I remember something similar happened with my Speedlite 550EX that Canon diagnosed as a faulty flash tube. The flash would occasionally fire but camera never registered the flash exposures. Sir, you are a Gentleman! My 580 EXII was playing up in exactly the way you described, and your repair was just what was needed. You’re welcome Geoff. Glad it worked for you. Good luck Geoff. I hope the fix holds for you. It didn’t for me, nor did two trips to Canon repair. I have had my last photo ruined by this schizophrenic TTL 580exII. It only is used in manual these days. I guess they have a new mount that fixes the problem. They would never admit that they engineered a piece of crap though and will charge $100+ to fix THEIR mistake. Sorry to hear the fix or Canon has not fixed the problems for you. I have little patience for stupid design and I consider the move from the original 580EX to 580EX II pretty stupid, downright unnecessary. Sold it to someone who wanted it and I’m happy to keep two 580EX – so convenient when switching from Master to Slave and I do this quite a bit on assignments. You are a legend for posting this shimworld, thanks!! A visitor emailed me with a different sort of problem on his 580EX II. I no longer have a 580EX II to take one apart. If anyone of you here has an idea or two what may cause the loose bottom, please advise. I purchased my 580EX2 in November 2011 with the conical hot shoe pins and still have ALWAYS had this problem. I use a shoulder strap so the flash always hangs off the hot shoe upside down; this I think could loosen the contact effectiveness over the course of a 6-7 hour nightclub shoot/450 pictures I typically take. I attempted this mod last night and the small screws were in fact loose, and I could tighten them up a good 540degrees. It improved the problem some extent but I may attempt the fix again and leave the spring mounted screws loose as they seem to be responsible for the hot shoe lock tightening strength. Big thanks for the insightfull write up! Good work for the instructions. Took 15 minutes to complete and my flash now works better than new. Canon are going to lose a few friends over this issue. I spend (we all do) hundreds of dollars on this flash, and bzzzzt the thing starts acting up. I was so worried that it was a huge problem. I read the warning on #23, took out the batteries, followed your instructions on tightening the screws… and VOILA! Problem solved! THANK YOU. Was able to fix my wife’s flash and save a trip to the repair shop (expensive I am sure!). Many thanks for the 580ex ll flash hotshoe fix! I’m so glad that we found your site. I never thought loose contacts on the flash would be the culprit of today’s problems. Today was the first time I experienced any issues with the flash. It was driving me crazy trying to capture family Christmas photos when the flash started flipping back and forth between TTL and ETTL and images were overexposed beyond any post processing save. After arriving home this evening, we tried the flash on two other canon camera bodies bodies and the same error presented on all cameras. Logic dictacted that the issue was with the flash unit. Jan thanks your instructions and photos were perfect. I have a working Speedlite again! Hi from the USA. Do you know if canon has corrected these issues on the new 600EX?? Sorry, I don’t follow Canon Speedlite issues just the ones I personally have problems with. You’re the first I learn of issues with the 600EX and now I’m intrigued. I’m a big fan of old school tech that works well and by that I own 3 units of the original 580EX that I trigger with the amazing Phottix Odin systems. I don’t know, but if the 600EX exhibits problems similar to the 580EX-II I’m pretty sure owners will flood the web including this post with their personal experience but so far there isn’t any known. Hello Azmir, I don’t know a supplier for these parts. I suggest you contact your nearest Canon service centre or authorised distributor in your country for help. p.s. I modified your email address so it doesn’t become a target for spam bots. Hi, I have the same problem with 2 580 mk2’s but was told that it may also be down to the pins on the hotshoe itself being rounded, where on the either the replacements or the new 600 ex rt they are more of a sharper pin which makes the connection better. before I go stupid and buy the new flashgun I will try your method of repair but somewhat scared of taking the thing apart with such fiddly springs, will certainly try it though as I’ve been quoted over £100 in the UK just to have a look at it! Hi Steve, I think I have covered all the critical bases of this flash’s innards so in the event of an “oops!” moment you have the benefit of these photos to restore order. Before you take them apart, have a pen and paper to sketch the location of the screws or springs, anything that makes sense to you to recall later. All the best! Hi. I had the same problem and did what you write in this post. All the screws are tight enough and wires are just fine, I did it a couple of times but the problem’s still there. I couldn’t fix it. I use it with my 5D Mark3 and the old 5D. When I used the flash for the first times, E-TTL was ok but I had some problems with the menu, that sometimes it didn’t work correclty. I discovered that the problem were my rechargeable batteries of 2100 mAh, which I changed for a pack of 2700 mAh; the problem was fixed, but now I got this new one with the TTL. I wonder if with some most powerful batteries will resolve this too. Any recommended battery power?2900? Hi Thomas, are you saying your 580EX-II switches from E-TTL to TTL occasionally? Before it was occasionally; it just happened a couple of times since I have it (Jan 2013), and it fixed itself after a couple of ON-OFF, in-out shoe, battery change, ect.. But since a couple of days it doesn’t move from TTL position. I can still select other modes and now I’m using it in M; it’s ok but uncomfortable and slower to switch the power manually from the flash instead of doing it on camera through ETTL. Anyway I just find another possible cause; and it’s related to the round shape of the pins of the hot-shoe, typical of the first stocks of this flash. Canon modified the pins indeed and changed it for a spike or pyramid shape, used in older versions of speedlites and more effective in terms of “communication” with the camera. I found a photographer on youtube who talk about it. Canon service can change it but not for free (with expired warranty), because they don’t consider it a constructive problem. Some people who does it are now Ok, though some other still have the problem. I’ve had that problem for over 3 months, now. The shoe was so loose it felt like it was about to fall apart. You, sir, just won my eternal gratitude. It was a really easy fix to do. A big “thanks” from Brazil, man! I’ve just been to PayPal. Here, have a couple of beers. My treat. Thank you very much for your kind donation, Caio! Much appreciated. Hi Jan! Just fixed mine using your tips, cannot thank you enough! Hi there! Are you experiencing the same problems (flash LCD displays “TTL” and outputs full power) as so many users have reported here? thanks for your advice. Just fixed two units. Iám very happy !! Hi,I have a 30d and a 5d mk1. I have been using a 580ex on both cameras and decided to upgrade to a 580ex ii. On the 5d I have the problems mentioned here, over exposure unless I am standing 10 feet from the subject and have to have ISO 100 and f8 and sometimes it doesn’t fire at all. However when I put it on the 30d I have no problem at all. If the 580EX II works perfectly on 30D but misfires on the 5D then I suspect the 5D’s cold shoe may be loose. Take a look at this link, pay attention to 5th and 6th images. Carefully remove the metal plate that covers the four micro screws, check to see if yours are loose. All the best! I have a problem with the 580EX II. And the flashed neither on the camera nor out of hand. The pilot button lights up red, but shows no effect on operation. The flash is detected by the camera, but also not fire. Thanks a lot! also for the good pictures. it saved me aprox. 100$ service costs. had only to fix and tighten this screws! Hi, I have a small problem with my Yongnuo flash. The X pin which triggers the flash just sunked and it is smaller then the other 4 pins. The problem is that this broken pin sometimes does not have contact with my camera, so the TTL sometimes doesnt work. Do you think that it is possible to repair it on my own? I think it should be quite similar to your problem. Just unsrew the bottom of the flash and check it? 🙂 Thank you for your answer!